Do you feel over anxious with regard to the new job you have accepted, getting married, just facing an upcoming exam, the risk of an illness or regarding the future? Tension, anxiety, and stress are nearly unavoidable with the busy and competitive lives we are living today. A review paper published in 2016, of more than 48 studies worldwide, concluded that anxiety is a bigger problem than depression in today’s world (1). So, anxiety is far more common and detrimental to health than we imagine (2). 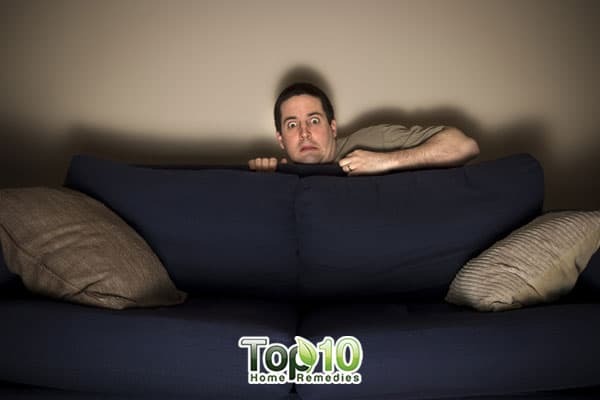 Moreover, some people are naturally more prone to nervousness and anxiety than others. If you suffer from uncontrollable, overwhelming, and persistent anxiety, you may be suffering from anxiety disorder and need to seek medical help (3). More women suffer from anxiety disorders than men. 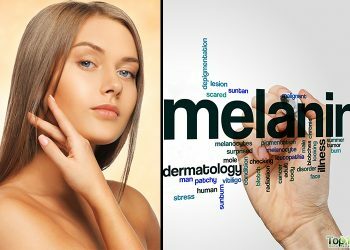 Other factors contributing to this problem include depression, disturbed sleep, nutritional deficiencies, mental disorders in families, nicotine, adrenal disorders, thyroid disorders and certain medications. Those who experience extreme or chronic anxiety and stress could be headed for bigger problems. Anxiety and stress are two of the most common factors contributing to a number of health issues. So it’s important to manage the condition, and many people find natural remedies very effective. Here are the top 10 home remedies for anxiety. Chamomile is a popular herb with multiple health benefits and can also be used to calm down and relieve anxiety. 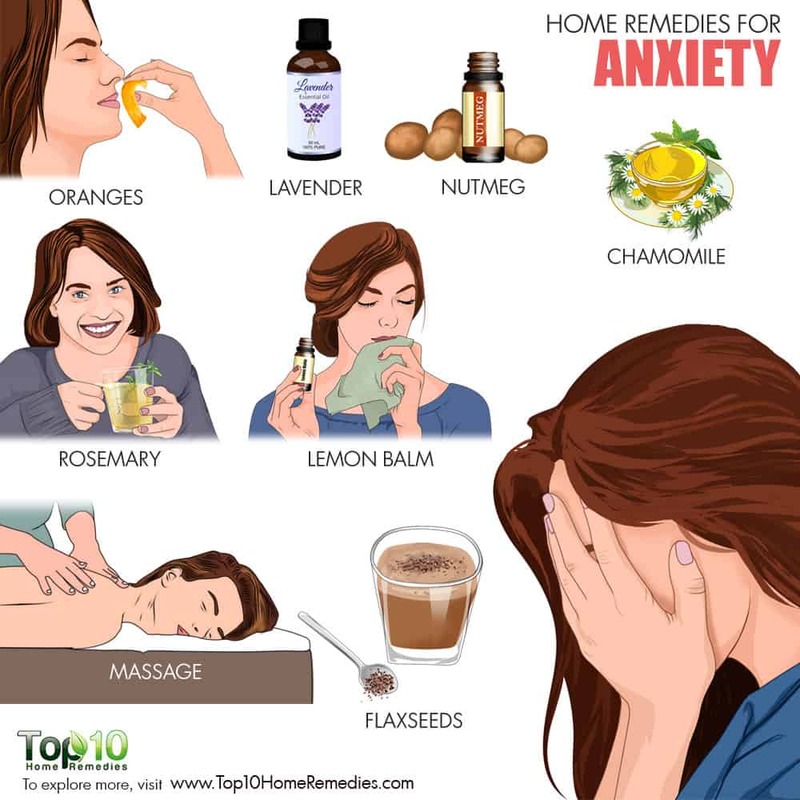 Both chamomile tea and essential oil are effective remedies for anxiety, although the exact mechanism of action is unknown. Research evidence, however, points to the role of flavonoids like apigenin, quercetin, and patuletin which could play a role in alleviating anxiety (4). According to a 2009 study published in the Journal of Clinical Psychopharmacology, chamomile (Matricaria retutica) may help reduce anxiety symptoms in those suffering from mild to moderate generalized anxiety disorder (5). It also promotes relaxation and drowsiness due to its mild sedative effect. 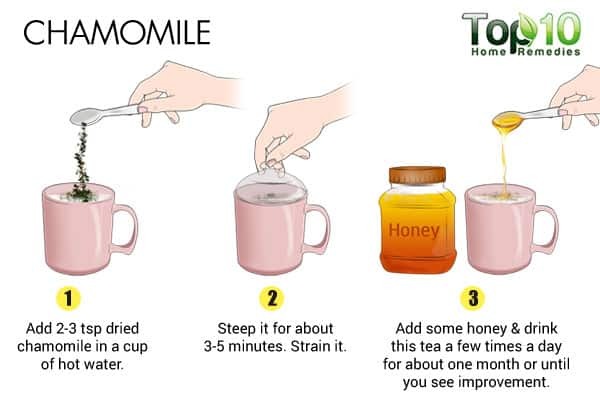 Steep two to three teaspoons of dried chamomile, preferably German chamomile, in a cup of hot water for three to five minutes. Strain it and, if you wish, add honey and cinnamon to it. Drink this tea a few times a day for about one month or until you see improvement. Alternatively, take this herb in a supplement form. Consult your doctor for proper dosage. Adults can generally take 400 to 1600 mg capsules in divided doses daily, or one to four ml of liquid extract three times a day. The uplifting smell of oranges and orange peels help calm the nerves. Aromatherapy, when used along with massage therapy has proven to be very effective in patients with mental disorders. Essential oils impact both the brain chemistry and nervous system. Moreover, citrus fragrances are believed to help fight depression and boost immunity. Orange aromatherapy has been shown in several clinical trials to reduce anxiety and improve mood. A study published in 2015 showed that orange scent was a safe and effective therapy to help women overcome their anxiety during childbirth (6). Similarly, it helped reduce anxiety in patients undergoing dental surgery (7). Another study published in 2012 also lends support to the use of sweet orange aromatherapy as a tranquilizer for anxiety disorders (8). Simply peeling an orange and inhaling its aroma can help uplift your mood. For better results, put a few orange peels in a pan of water and allow it to simmer. Inhale the refreshing smell to do away with your anxiety. Repeat as needed. Inhale orange essential oil directly or add a few drops to a diffuser when you feel anxious. Note: Wash the orange peels thoroughly to remove the traces of pesticides. Rosemary is another popular home remedy for anxiety due to its calming effect. It is known as the “herb of remembrance”. A study published in the Journal of Pharmacy and Pharmaceutical Sciences showed that non-volatile components of rosemary include rosmanol, cirsimaritin, salvigenin are known to have anxiolytic activity (9). Furthermore, it stimulates circulation, relaxes the respiratory and digestive muscles, and has a positive effect on memory and alertness. Add one or two teaspoons of dried rosemary to one cup of hot water. Let it steep for about 10 minutes, and then strain it. Drink this tea daily until you are satisfied with the results. 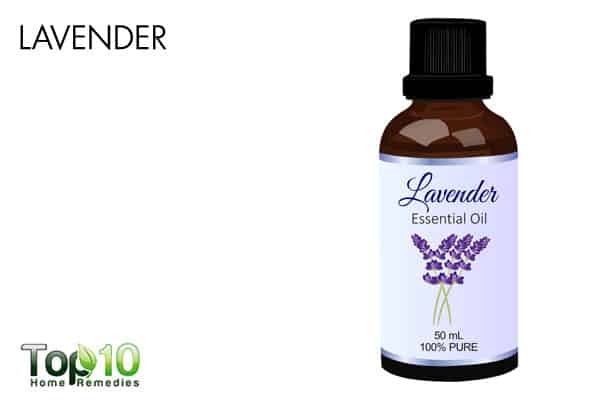 Lavender derived essential oil is traditionally used as a remedy to induce relaxation and relieve depression. 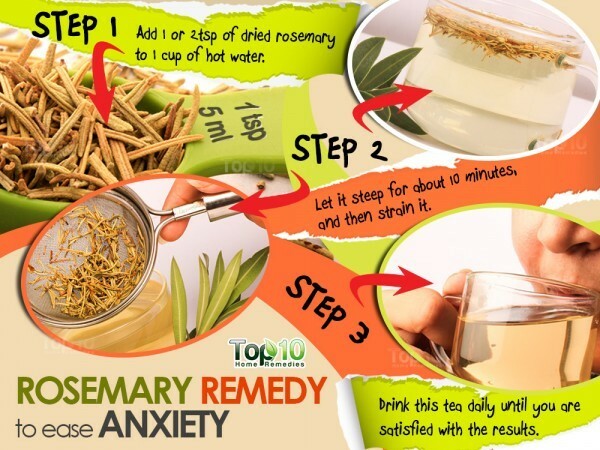 This remedy for anxiety and stress is also approved by the European Medicines Agency (10). It has a calming and soothing effect on the nervous system due to its bioactive constituents such as linalool and linalyl acetate. A review of studies conducted on various essential oils indicated that lavender essential oil had the best profile among several essential oils studied; it was also found to be helpful in reducing anxiety in many animal studies (11). Boil two cups of water, add two to four drops of lavender essential oil to it and inhale the steam to ease anxiety. Repeat as needed. Alternatively, mix three or four drops of lavender oil in one teaspoon of almond oil, olive oil or any base oil. Use it as massage oil on your neck, back, and shoulders. Repeat daily or a few times a week until your condition improves. Nutmeg is an aromatic spice that is used in small amounts for flavoring pies, cakes, eggnog, and rice. Apart from this, it is also beneficial for health as it promotes relaxation, fights depression, and works as a muscle relaxant. Hence, it is great to treat anxiety, stress, and depression. Myristicin and safrole are the major constituents of nutmeg which have mind-altering properties (12). Different extracts of nutmeg showed differing anxiolytic activity in a study published in 2002 (13). 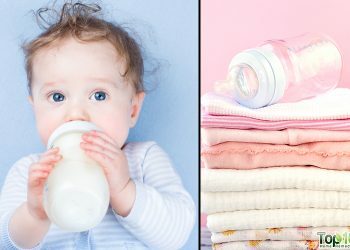 It is also believed to improve sleep quality. 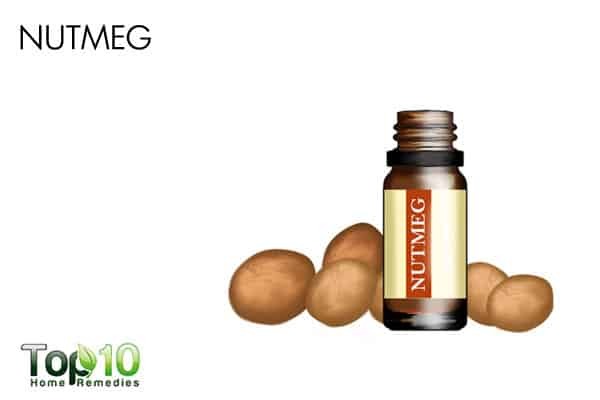 Simply inhale the smell of nutmeg oil to uplift your mood and reduce brain exhaustion. You can also add one-quarter teaspoon of nutmeg powder in your food on a regular basis. Caution: Excessive use of nutmeg is not recommended, especially for those who have psychiatric conditions. Note: Nutmeg should be consumed in only in trace amounts as there are reports that it can cause poisoning or psychedelic effects. Lemon balm, a member of a mint family, works well as a mild relaxant and nerve tonic. Hence, it has been used for ages to reduce anxiety, promote sleep and improve appetite. In olden days, lemon balm soaked in wine was used to cheer the spirits. The lemon balm leaves contain phytochemicals called terpenes and tannins which are mainly responsible for many of its biological effects. Eugenol, a constituent of lemon balm is known for its antibacterial properties and ability to soothe muscle spasms and numbed tissues (14). Lemon balm leaves are available in dried form as tea, supplements or even as essential oil, tinctures, and extracts. You can purchase this from herbal drug stores or even online. 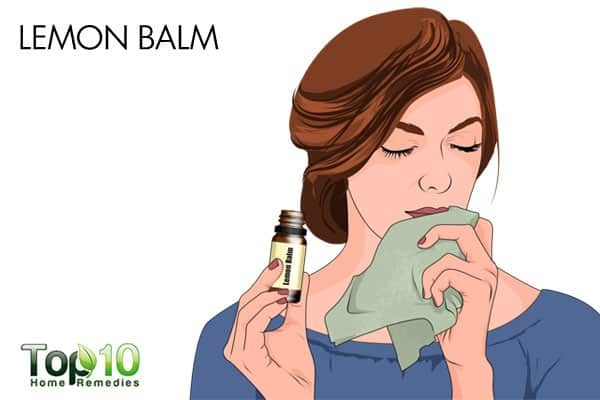 Lemon balm works wonderfully as an aromatherapy agent. Inhale lemon balm essential oil directly or through diffuser for its calming effect. 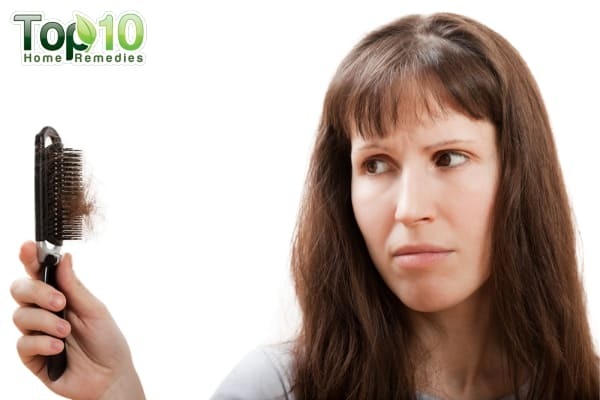 Take 60 drops of lemon balm tincture as needed when you feel nervous. Caution: Do not use this herb in excess; it may make you more anxious. Flaxseeds are loaded with nutrients, especially omega-3 fatty acids, lignins and fiber that have a wide range of health benefits including improving mood and alleviating anxiety and depression (15). 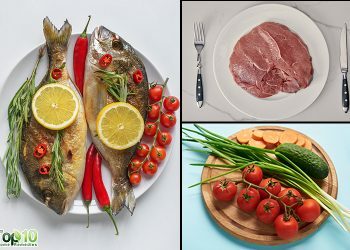 The anti-inflammatory property of omega-3 fatty acid fights cellular inflammation that disrupts signaling between brain cells. In a study published in 2013, polyphenols and omega-3 fatty acids from flaxseeds were able to reduce all the symptoms of chronic mild stress in animal models (16). Add 3-4 tablespoons of ground flax seeds to your cereal, yogurt or smoothies. 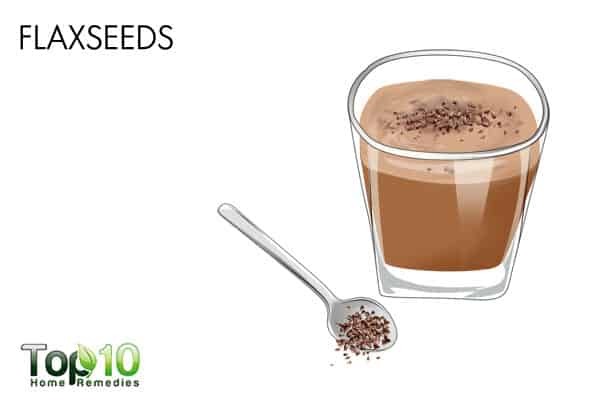 Drink 1-2 tablespoons of flax seeds oil daily. You can add flax seeds oil in your salad or other hot meals. The taste of flax seed oil is nutty, which can enhance your meal’s flavor. This wonderful herb calms the nerves and helps ease anxiety. The important constituents of fennel are essential oil, fatty acids, terpenes, tannins, and flavonoids. It contains volatile oils like anethole, limonene, fenchone, safrol, and myrcene. It is also abundant in potassium, calcium, magnesium, iron, phosphorus, and zinc (17). The anxiolytic effect of the essential oil of fennel was reported in a study published in 2014 (18). Fennel is rich in phytoestrogens, which help in the treatment of disorders deficient in estrogen-like anxiety disorders. Also, it reduces gastrointestinal symptoms that often accompany anxiety. Put a few drops of fennel essential oil on a tissue and inhale the smell, off and on, for about one hour. Repeat every few hours, as needed. You can also drink fennel tea on a regular basis, before or after meals. Fennel juice will also help. 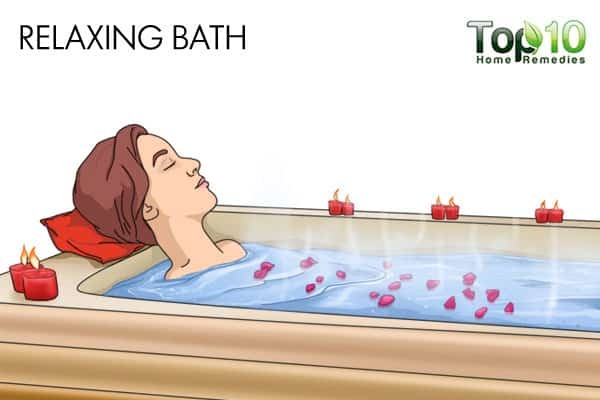 Hot water baths have relaxing properties that provide relief from anxiety and stress. It gives calm, reassuring feeling and has an analgesic effect. In a paper published in 1954, it was reported that patients felt relief from symptoms of anxiety and tension after a hot bath which helped relax their muscles (19). Mix one cup of Epsom salt (magnesium salt) in a bathtub filled with warm water. Soak in it for 10 to 15 minutes. Alternatively, you can add five to seven drops of an aromatherapy essential oil like chamomile, lavender, ylang-ylang, geranium or bergamot, along with an ounce of carrier oil like jojoba oil, to your bath water. Soak in it for 15 to 20 minutes. Massaging your body, especially your neck, shoulders, back and the bottoms of your feet, can help a great deal in relaxing your body and relieving anxiety. Massaging is a very effective physical technique to reduce anxiety. A study published in the Journal of Caring Science in 2012 demonstrated that a gentle hand massage before an ophthalmic surgery increased patient comfort and reduced anxiety (20). You can use any massage oil such as sesame, sunflower, coconut or corn oil for this purpose. For best results, use six or seven ounces of the oil of your choice after heating it slightly. Massage daily before taking your morning bath or at night before going to bed. Continue for a few weeks, or include it in your daily routine if you are prone to anxiety. Along with these natural remedies, using some preventive measures to reduce and control anxiety such as smoking cessation and restricting the amount of caffeine can be beneficial. 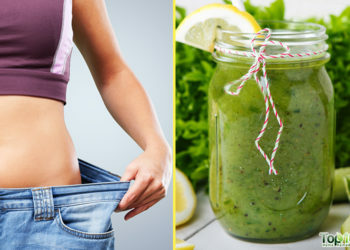 Also, improve your lifestyle by incorporating regular exercise, sleep routine, eat whole food diet and do yoga or other relaxation techniques, such as deep breathing, meditation, visualization, and music therapy to further reduce your anxiety long term. If you are experiencing intense anxiety or suffering from an anxiety-related disorder, consult an expert for proper diagnosis and treatment. Remes O, Brayne C, van der Linde R, Lafortune L. A systematic review of reviews on the prevalence of anxiety disorders in adult populations. Brain Behav. 2016;6(7):e00497. doi:10.1002/brb3.497. How anxiety became a modern epidemic greater than depression. http://www.telegraph.co.uk/health-fitness/mind/how-anxiety-became-a-modern-epidemic-greater-than-depression/. Home | Anxiety and Depression Association of America, ADAA. https://adaa.org/. Accessed February 21, 2018. Srivastava JK, Shankar E, Gupta S. Chamomile: A herbal medicine of the past with bright future. Mol Med Rep. 2010;3(6):895-901. doi:10.3892/mmr.2010.377. Amsterdam JD, Li Y, Soeller I, Rockwell K, Mao JJ, Shults J. A randomized, double-blind, placebo-controlled trial of oral Matricaria recutita (chamomile) extract therapy for generalized anxiety disorder. J Clin Psychopharmacol. 2009;29(4):378-382. doi:10.1097/JCP.0b013e3181ac935c. Rashidi-Fakari F, Tabatabaeichehr M, Mortazavi H. The effect of aromatherapy by essential oil of orange on anxiety during labor: A randomized clinical trial. Iran J Nurs Midwifery Res. 2015;20(6):661-664. doi:10.4103/1735-9066.170001. Hasheminia D, Kalantar Motamedi MR, Karimi Ahmadabadi F, Hashemzehi H, Haghighat A. 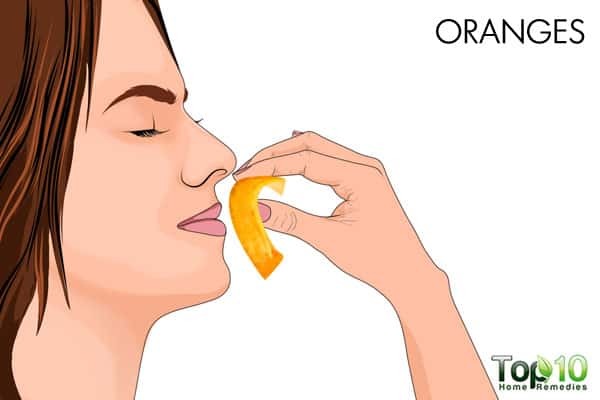 Can Ambient Orange Fragrance Reduce Patient Anxiety During Surgical Removal of Impacted Mandibular Third Molars? J Oral Maxillofac Surg. 2014;72(9):1671-1676. doi:10.1016/j.joms.2014.03.031. Goes TC, Antunes FD, Alves PB, Teixeira-Silva F. Effect of Sweet Orange Aroma on Experimental Anxiety in Humans. J Altern Complement Med. 2012;18(8):798-804. doi:10.1089/acm.2011.0551. Abdelhalim A, Karim N, Chebib M, et al. Antidepressant, Anxiolytic and Antinociceptive Activities of Constituents from Rosmarinus Officinalis. J Pharm Pharm Sci. 2015;18(4):448-459. http://www.ncbi.nlm.nih.gov/pubmed/26626245. Avato P, López V, Nielsen B, Solas M, Ramírez MJ, Jäger AK. Exploring Pharmacological Mechanisms of Lavender (Lavandula angustifolia) Essential Oil on Central Nervous System Targets. Front Pharmacol. 2017;8. doi:10.3389/fphar.2017.00280. de Sousa D, Hocayen P, Andrade L, Andreatini R. A Systematic Review of the Anxiolytic-Like Effects of Essential Oils in Animal Models. Molecules. 2015;20(12):18620-18660. doi:10.3390/molecules201018620. Henriksen P, Moestrup Ø. Seasonal variations in microcystin contents of danish cyanobacteria. Nat Toxins. 1997;5(3):99-106. doi:10.1002/nt.3. Sonavane GS, Sarveiya VP, Kasture VS, Kasture SB. Anxiogenic activity of Myristica fragrans seeds. Pharmacol Biochem Behav. 71(1-2):239-244. http://www.ncbi.nlm.nih.gov/pubmed/11812528. Lemon balm | University of Maryland Medical Center. http://accurateclinic.com/wp-content/uploads/2016/02/Lemon-balm-University-of-Maryland-Medical-Center.pdf. Martinchik AN, Baturin AK, Zubtsov V V, Molofeev VI. [Nutritional value and functional properties of flaxseed]. Vopr Pitan. 2012;81(3):4-10. http://www.ncbi.nlm.nih.gov/pubmed/22888664. Naveen S, Siddalingaswamy M, Singsit D, Khanum F. Anti-depressive effect of polyphenols and omega-3 fatty acid from pomegranate peel and flax seed in mice exposed to chronic mild stress. Psychiatry Clin Neurosci. 2013;67(7):501-508. doi:10.1111/pcn.12100. Asadi-Samani M. Therapeutic and pharmacological potential of Foeniculum vulgare Mill: a review. J HerbMed Pharmacol J J HerbMed Pharmacol. 2015;4(1):1-9. http://www.herbmedpharmacol.com. Mesfin M, Asres K, Shibeshi W. Evaluation of anxiolytic activity of the essential oil of the aerial part of Foeniculum vulgare Miller in mice. BMC Complement Altern Med. 2014;14:310. doi:10.1186/1472-6882-14-310. Sainsbury P, Gibson JG. SYMPTOMS OF ANXIETY AND TENSION AND THE ACCOMPANYING PHYSIOLOGICAL CHANGES IN THE MUSCULAR SYSTEM. J Neurol Neurosurg Psychiat. 1954;17. https://www.ncbi.nlm.nih.gov/pmc/articles/PMC503186/pdf/jnnpsyc00299-0054.pdf. Nazari R, Ahmadzadeh R, Mohammadi S, Rafiei Kiasari J. Effects of hand massage on anxiety in patients undergoing ophthalmology surgery using local anesthesia. J caring Sci. 2012;1(3):129-134. doi:10.5681/jcs.2012.019. I look forward to all your most helpful posts. Please keep them coming! thanx so much for tips, they really work wonders for me.